Are you looking for a house in Mohali where the whole city is in your reach and where you can live your entire life happily? Indeed, there is no shortage of such projects in Mohali and every other project will provide you with such facilities but then the question arises, to whom and where. Yes, it is natural to raise this question that when many such options are available then everyone gets confused. So let us give you some great suggestions, which will help you reach the conclusion of your quest for a great house in Mohali City. First of all choose a project for the house of your dreams, which are very beneficial by location wise and from where it can easily reach the places and facilities you need. After this, you should check your new house's insignia, interior and quality thoroughly and make sure that all the specifications available are available to you. And last but not the least, comes to the modern comforts, amenities and pleasures without which one cannot imagine the best lifestyle. Check if there is the availability of ample play areas for you children, green living facilities, parking spaces, provisions of security, video monitoring, power backup and constant water supply etc. By looking at all these aspects, if you choose the right house, it will certainly be perfect on all your wishes. Who does not like freedom to do anything, everybody wants to open it freely in his dream home and no one is there to stop it. 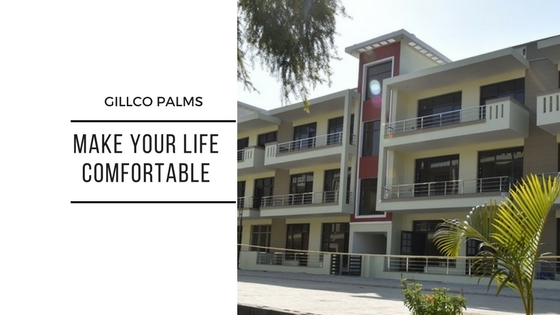 With such a beautiful series of homes Gillco Palms has arrived with the scheme of independent floors. This is an integrated township spread over 450-acres of land where utmost greens are everywhere in the complex. The township is offering individual homes with independent floors in 3 BHK configurations and sizes of 1650 sq. ft. There is an optimum utilization of natural daylight in each floor with full height windows. There are spacious balconies in Gillco Palms Chandigarh for the magnificent views of garden areas. 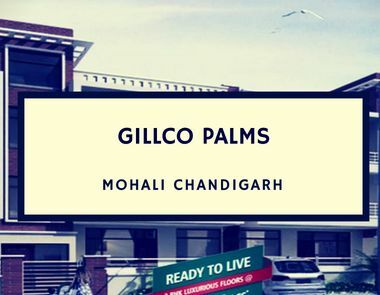 Strategically located on two highways, Gillco Palms Mohali is just 5 kilometres from Chandigarh. International Airport is just 15 minutes of drive away from the project. There is modern infrastructure with world-class facilities around this development. Residents here can enjoy the great features like a clubhouse, landscaped garden, jogging track, intercom facility, constant water supply, security and a lot more. Interested homebuyers can contact here new booking and for which the Gillco Palms Price ranging from INR 44.90 lakhs to INR 45.90 lakhs.